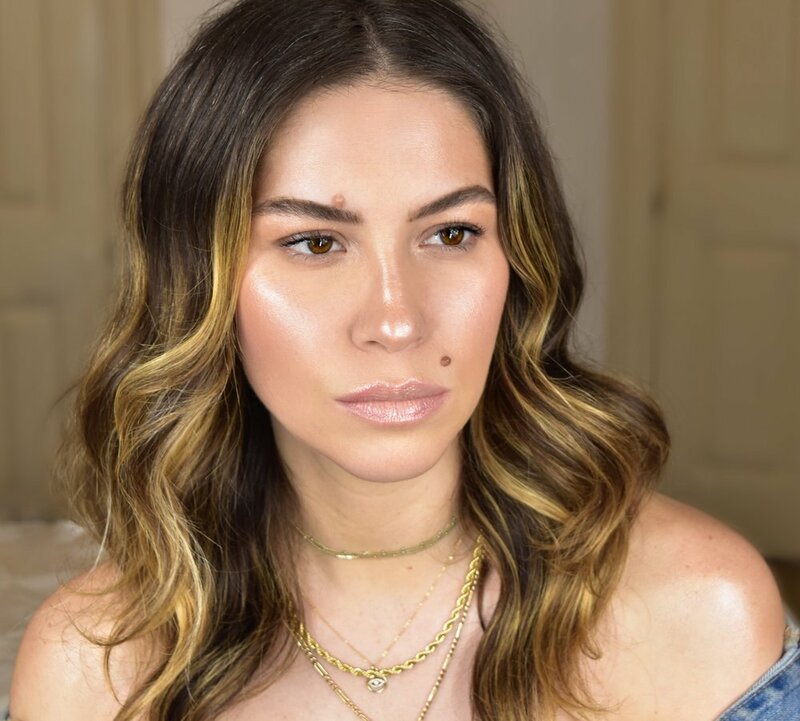 If you don’t wear a highlighter these days, do you even wear makeup?… From celebrities, to drag icons, soccer moms and everyone in between, the perfect glow seems to be at the forefront of conversation in the beauty industry. So how did highlighter become so freaking popular? And what’s the point? (besides the fact that we like shiny things??) Let’s break down how it works. Luminous skin can be achieved by using any varying degree of shimmer. The smaller the particle of sheen, the more subtle (think candlelight). The larger the particle of sparkle the more.. well, MORE (think disco ball!). No matter the intensity, all highlighters do the same thing = reflect light! So does healthy looking skin, reflect light that is. Healthy skin is hydrated, clear and radiant. So even if you don’t get your 8 hours of sleep per night, and drink your 64 ounces of water a day, your skin can still look like a happy baby? ?… sign me up!! That’s what highlighter does, and that’s why it has become such a phenomenon. Now, before you go bathing in the newest must-have highlighters you just bought at Sephora (and really, no judgement… we have all been there!) Check out these 3 easy tips to make sure your highlighter is working above and beyond. PREP is key!! Hydrated, healthy-looking skin is not dry. Make sure you moisturize properly beforehand and use a liquid or cream highlighter if you are dry. For oily skin (or matte foundation lovers) try spritzing your skin with a misting spray after foundation but before highlighter, its a game changer!! Match your undertone. If your highlighter doesn’t compliment your natural skin tone, it will always look a little “off".” A good rule of thumb is to use cooler tones (think more silvery) for fair skin and warmer tones (think golden) for deep skin. Don’t forget your body. If you are showing a little bod, and your face is dewy perfection while your body looks flat and dry…. the jig is up! After you get dressed make sure to moisturize any skin that is exposed and buff a little highlighter on the shoulders, collarbone and even legs. You are sure to get compliments all night!! 5 makeup tricks that are total game changers!